The remains of Liverpool parish church Our Lady and St. Nicholas. bombed during the night of 20-21 December 1940. Italian/Greek Campaign: The battle for the Italian port of Himara continues on 20 December 1940. In possession of the Giam height, the Greeks still need to capture the high ground further to the east. The Greek 3rd Infantry Division struggles through deep snow to advance on Italian artillery sited on the mountainsides. By taking the heights all around Himara, the Greeks hope to force the Italians to withdraw. The Greeks elsewhere are bombarding Klisura and Tepelenë (Tepelini) with artillery. The Italians are fighting hard to keep both of those places, however. The Italians are even launching some minor counterattacks at various points along the front. The Greek offensive definitely is petering out, but it may have one or two more successes left in it. European Air Operations: The Luftwaffe, after a lull, returns to start a multi-night raid on Liverpool which is known as the "Liverpool Blitz." 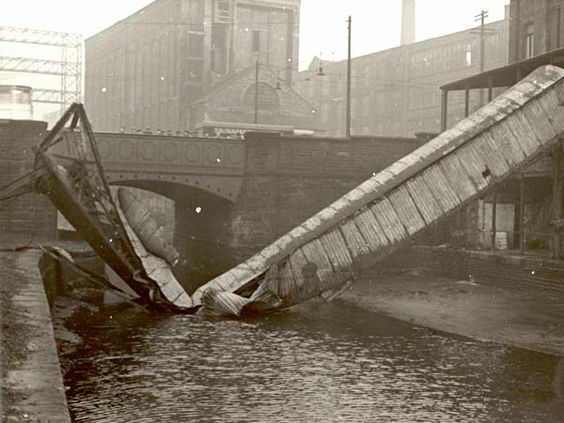 Always a favored Luftwaffe target due to its status as the principal port hosting freighters crossing from the United States and Canada (and elsewhere in the world), Liverpool already has sustained extensive damage. 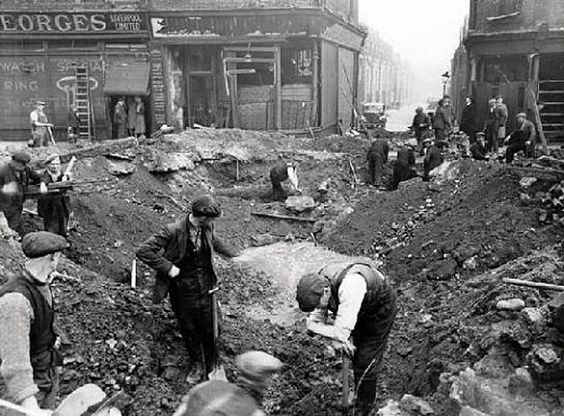 The Luftwaffe sends 205 bombers against the city, killing 42 in two official (Anderson) air raid shelters when they collapse from bombs above, 72 others in a shelter at the Blackstock Gardens tenement, and 42 more at a makeshift shelter beneath railway arches at Bentinck Street. The night's events illustrate that, while shelters are safer than being outside, they also can be extremely deadly under the right circumstances. 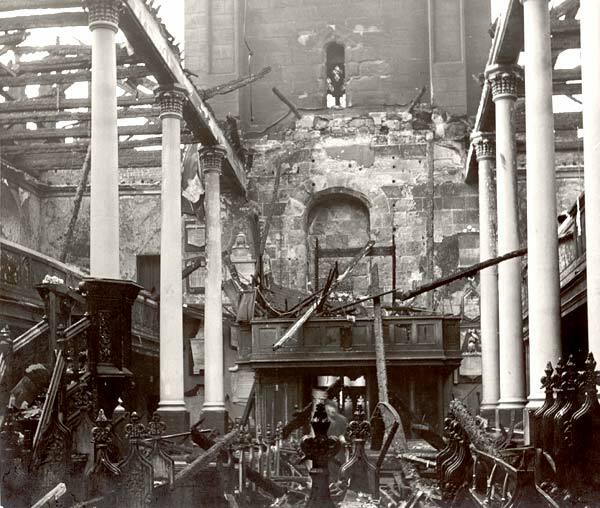 The German strategy for the past two months has been to focus on one medium-sized English city at a time, thereby causing extensive damage in a confined area. Previous cities on the list have included Coventry, Sheffield, and many others. London, of course, receives sustained attention throughout the Blitz, but by a smaller number of attacks than would be the case if the Luftwaffe were not focusing on these other cities. Many consider this the worst raid of the Blitz to date. As for London, it also receives a raid, and it begins earlier than usual because it grows darker at a much earlier hour this time of year. Late in the night, the RAF begins a new strategy under the code-name "Rhubarb." These are low-level nuisance raids upon Luftwaffe airfields by Fighter Command (previous such missions were solely by Bomber Command). Six modified Blenheims of RAF No. 23 Squadron have been ready since December 10th, and on standby since the 16th, for this mission. This has been the first night with favorable conditions. Tonight, the Blenheims take off between 20:20 and 01:55 and fly over Abbeville, Amiens and Poix, which are considered the main German night-fighter areas. The planes descend to 1000 feet during the early hours of the 21st, strafe the Luftwaffe airfields and, well, generally make a nuisance of themselves. RAF Bomber Command, for its part, raids Berlin and Gelsenkirchen, with subsidiary operations against Amsterdam, the German coastal guns at Cap Gris Nez, and various other invasion ports. A panoramic triptych of Liverpool bomb damage. The Liver Building is just to the right of centre, and the River Mersey is to the left. Battle of the Atlantic: Italian submarine Pietro Calvi torpedoes and sinks 5162 ton British freighter Carlton in the Western Approaches. There are 31 deaths. A Luftwaffe seaplane attacks Convoy WN 55 off Kinnaird Head, but causes no damage. During the Luftwaffe attacks on Liverpool, the Germans sink 315 ton British hopper barge Overdale at Huskisson Dock and landing craft HMS LCP(L) 30 (Landing Craft Personnel (Large)). Other ships damaged during the raid are 10,445 ton tanker John A. Brown, 10,224 ton liner Europa, 7327 ton freighter Laplace, 10,926 ton liner Eastern Prince, and 7801 ton freighter Roxburgh Castle. All three crew on the Overdale perish (apparently sleeping on the ship), but there are no other reported casualties on any of these ships. The RAF bombs and sinks 1412 ton German freighter Consul Poppe off Boulogne. Royal Navy destroyer HMS Berkeley is damaged by a mine near the outer Medway (River) Bar. The damage is minor, but will require about a week to repair at Chatham. Convoy FN 363 departs from Southend. 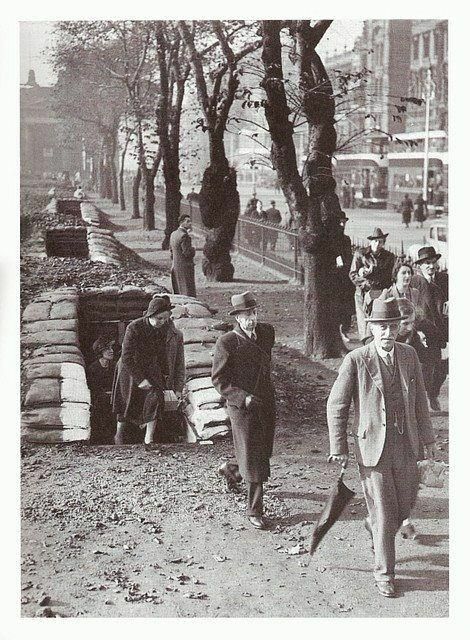 A typical Anderson shelter at East Princes Street Gardens, Liverpool, December 1940. Battle of the Mediterranean: It is a very busy day in the Mediterranean, almost all of it Royal Navy and British Army operations. By mounting operations simultaneously on both land and sea, the British essentially paralyze the Italians, who barely make an appearance aside from one submarine sinking off Libya. Transport situation still very strained owing to great distances and difficulties of conditions. Large percentage of vehicles out of action awaiting repair. What is striking about Wavell's summary is that he does not even mention the Italians as a problem - is is the extent of the advance and the resulting wear and tear on the equipment that is a problem, not enemy resistance. He proposes a halt, especially considering that the Australian troops being brought forward for the next phase of the assault have not been in combat yet. He is correct about the Italians not being an issue, as no Italian soldiers still stand on Egyptian soil except as prisoners of war or hunted refugees. However, that said, the Italians are defending Bardia and Tobruk with tanks and the troops who made it back from Egypt. Of the four options, the study considers a land assault on Tobruk the most profitable course of action. "If this is not possible," the report concludes, "we should consider a position covering Bardia." The Royal Navy is engaged in its own business while the army has matters in hand in Egypt and Libya. It runs through another two convoys to Malta, MW 5A and MW 5B. Royal Navy battleships HMS Malaya and Warspite and numerous destroyers quickly refuel in Grand Harbour and then rejoin the main fleet. The Malaya continues on to Gibraltar. The mission is notable because the Royal Navy Commander in Chief Mediterranean, Admiral Cunningham, is on the Warspite and uses the visit to meet with Governor Lt. General Dobbie and Vice Admiral Malta Sir Wilbraham Ford. These spectacular Royal Navy visits at the height of the conflict are watched by innumerable Maltese spectators and leave a very favorable impression. The Italian Air Force does not make an appearance. The Italians do draw some blood elsewhere, though by and large the Royal Navy machinations go unhindered. Italian submarine Serpente torpedoes and badly damages destroyer HMS Hyperion at 01:56 about 24 miles from Cape Bon. There are two deaths and 14 other casualties. Attending ships attempt to tow the Hyperion, but finally the British give up the effort, take off the Hyperion's crew, and scuttles it near Pantelleria. The survivors return to Alexandria on destroyers HMS Ilex and Janus. Royal Navy aircraft carrier HMS Illustrious raids an Italian convoy off the Kerkennah Islands near Tripoli with 13-15 Swordfish at dawn. This raid is part of the overall distraction from the Malta convoys. They report sinking two Italian ships, though their identities are unclear. The runway of the Cooperative Mill in Liverpool after the raid of 20/21 December, 1940. Soviet Military: The PPSh-41 Shpagin machine pistol, or submachine gun, is approved for production by the the Defense Committee of the Council of People's Commissars of the Soviet Union. The PPSh-41 has been designed by Georgi Shpagin as a cheap but reliable alternative to the more expensive PPD-40. The impetus for both designs - the PPSh-41 and the PPD-40 - was the effective use by the Finnish Army in their forests of their Suomi KP/-31 submachine gun. Shpagin uses metal stamping and a simple gas compensator to design one of the most effective and ubiquitous weapons of the war. The PPSh-41 is produced in and around Moscow and is a high priority item, with top-level functionaries held personally responsible for meeting demanding production targets. British Government: A British Committee of Enquiry has been looking into the Arandora Star matter and today reports its finding. The major conclusion is that there was insufficient segregation of types of travellers - both Jewish refugees and outright Fascists basically travelled together. The Arandora Star was a liner taking aliens from England to Australia over the summer, where they would be housed in camps. The voyage was notorious for the predations of the guards and the mistreatment of just about everyone, including beatings and thievery. US Government: President Roosevelt appoints industrialist William Knudsen to be the director of a new four-man defense board called (later) the Office of Production Management for Defense. Sidney Hillman will advise on labor issues, US Navy Secretary Frank Knox on naval concerns, and US Army Secretary Henry L. Stimson on army issues. The goal of the board is to speed up US rearmament and give all aid to Great Britain "short of war." Industrialists such as Knudsen and Henry Kaiser will play key roles during the war in ramping up military production - the process has barely begun at this point. Holocaust: Bulgaria passes laws restricting the rights of Jews and Freemasons. Scottish inventor John Baird demonstrates his color television, 20 December 1940. © National Media Museum / Science & Society Picture Library (10314662). 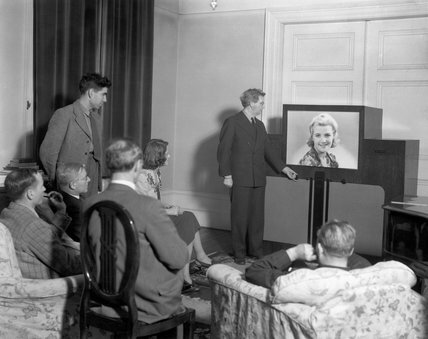 British Homefront: John Logie Baird demonstrates a color television to the press - including the sixth Marquess of Donegal, a journalist for the Sunday Despatch - in the lounge of his home at Crescent Wood Road, Sydenham in South London. In August 1939, the Germans first demonstrated a color television set, but the war prevented further progress. There have been occasional public television programmes in both England and Germany since the mid-1930s, all in black and white. The popularity of television at this point is limited more by the availability of TV sets than it is by the technology itself. American Homefront: New Hampshire, not known for its seismic activity, sustains an earthquake that measures 5.3 on the Richter scale. The quake has a maximum Mercalli intensity of VII, which is rated as "Very Strong." The damage is reasonably light as such things go, with 20 chimneys toppled, numerous pipes fractured, damage to wells (turning water brown) and the like. Smaller effects are felt in nearby New York, Vermont, Maine and Massachusetts. Captain America makes his debut today with the publication today (dated March 1941) of "Captain America Comics." The first Captain America Comics, issued on 20 December 1940 (in time for Christmas) but dated March 1941. 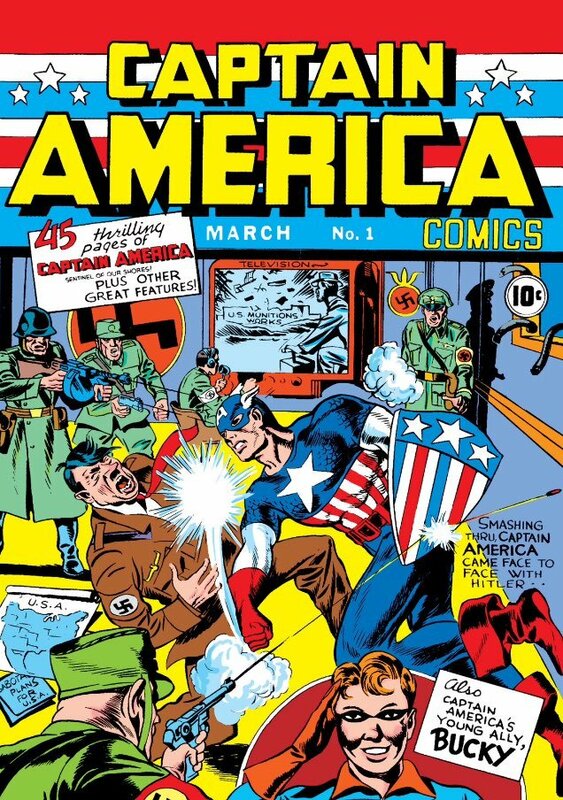 Kind of far-sighted to have Captain America punching Hitler when war was still a year in the future. Did you know that Captain America had a "young ally" named Bucky?